I’m thrilled to have a new job again to support myself while I’m in college. And I’m working at one of my favourite shops, Bershka! Naturally I’m already mentally spending my wages and I’ve put together a wishlist of some of favourite items. As I don’t have much time to think about clothes at the moment, lots of the items are cute everyday things, ideal for students. Bershka also are reasonably priced and have good sales. N.B. I don’t receive any payment or incentive from Bershka to promote these items-these are all my personal choices. I especially like Bershka’s accessories. 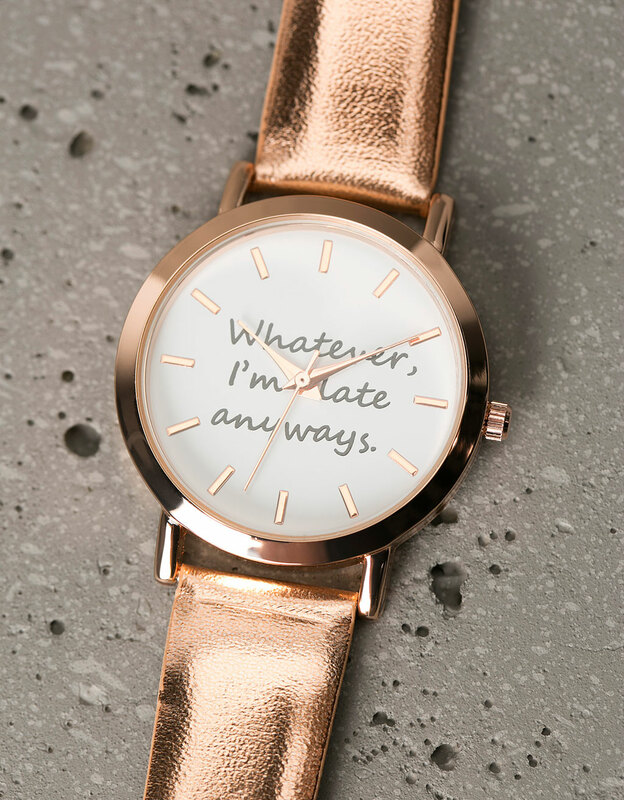 This watch is one of my favourite things I’ve seen all year. (Update-I bought it!). If you liked my recent post on the lace-up trend, you will really like Bershka’s take on this trend. This eyelet detail skirt is really subtle but still cool. Bershka have also capitalized on the A-line trend. 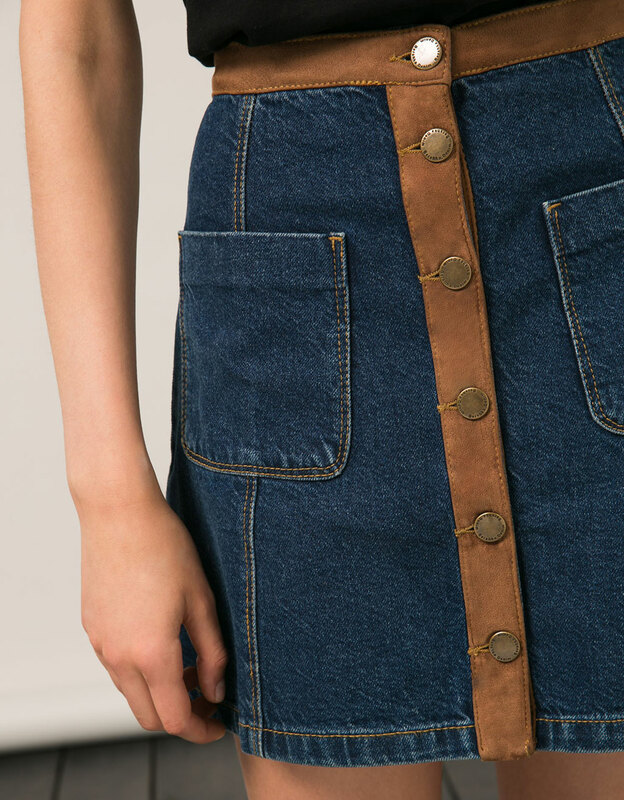 This denim skirt with faux suede trim is really striking. It’s styled very casually here but I think it would look even nicer with heels and black tights. You can always rely on Bershka to have really nice dresses and tops coming up to Christmas and they are really reasonably priced. I really like their bodysuits and bought a gorgeous navy lace one for my birthday.This tulle and velvet bodysuit would be great for a Christmas night out or any dressy occasion. The footwear range is also worth checking out with lots of styles to choose from. 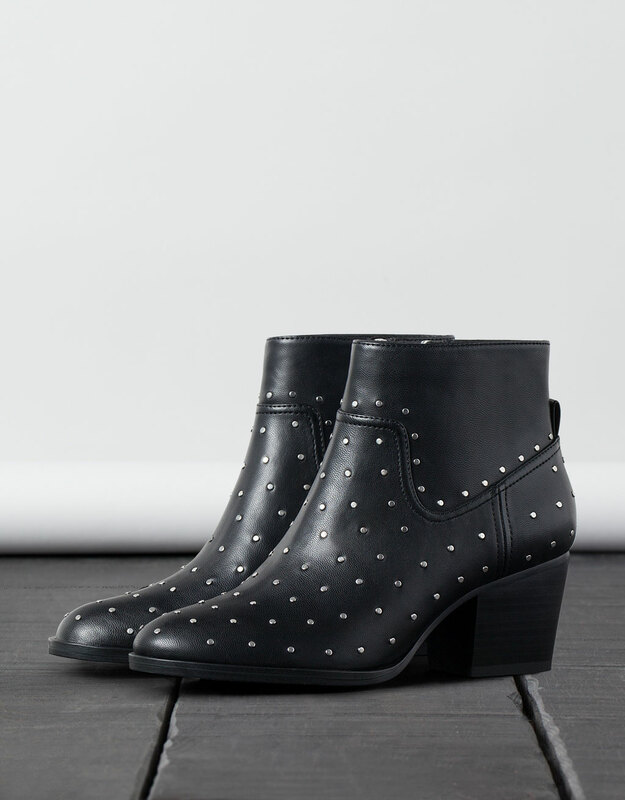 My favourite styles this season include these studded ankle boots. Also these white quilted runners are great for ideal if you’re not quite ready to wear boots yet. I’d love these for walking to college and I’d style them with blue or black jeans and a simple t-shirt. Bershka have one of the best selection of bags out there, I always love looking at their new bags and trying to justify getting yet another! 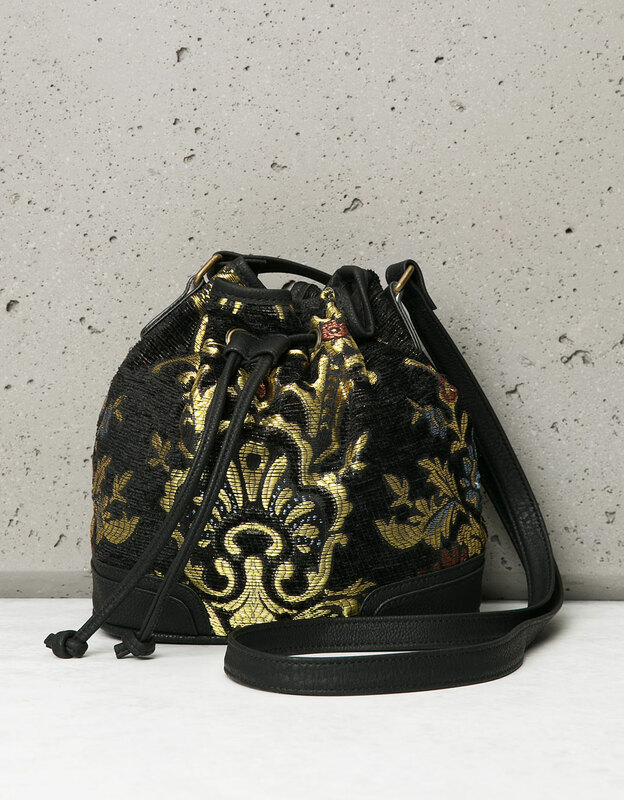 This season their styles include this baroque print bucket bag. 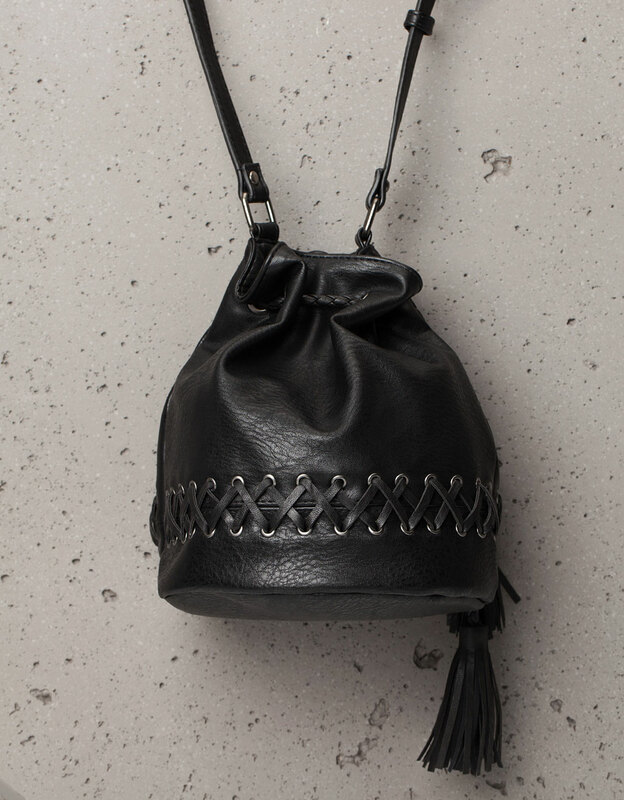 This detail on this drawstring bag makes it look really expensive but it’s only €29.99. 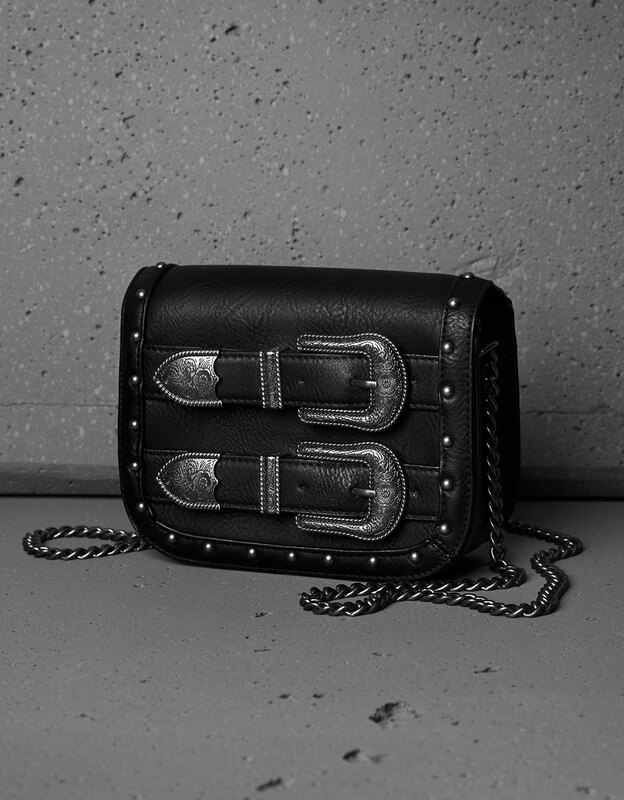 And saving the best for last, this buckle detail bag with a chain strap is just gorgeous! Hope you’ve liked this post, I look forward to bringing you all some more Bershka looks soon. 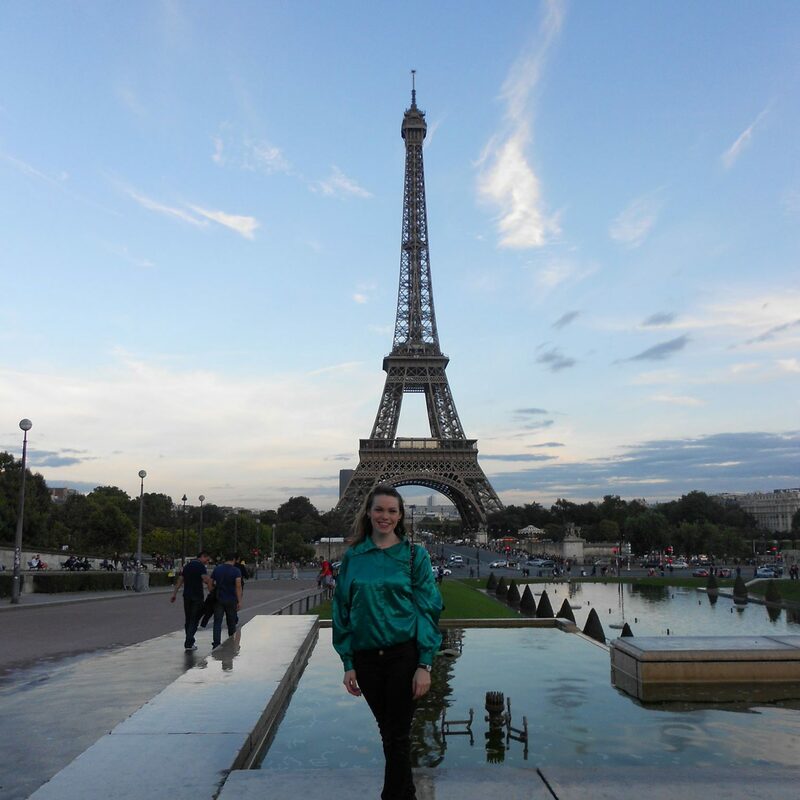 Don’t forget you can follow the blog on Facebook by clicking here. Thanks for reading as always.